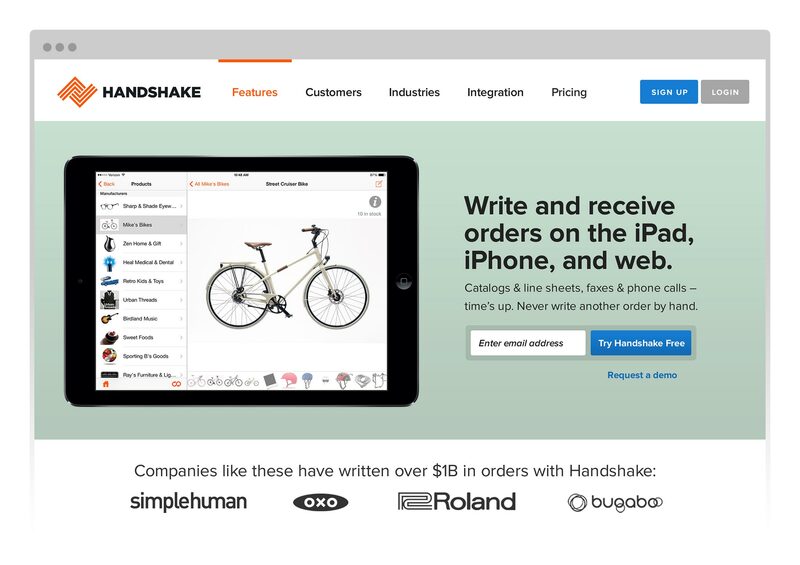 Brand identity and product marketing for a disruptor in B2B sales ordering. 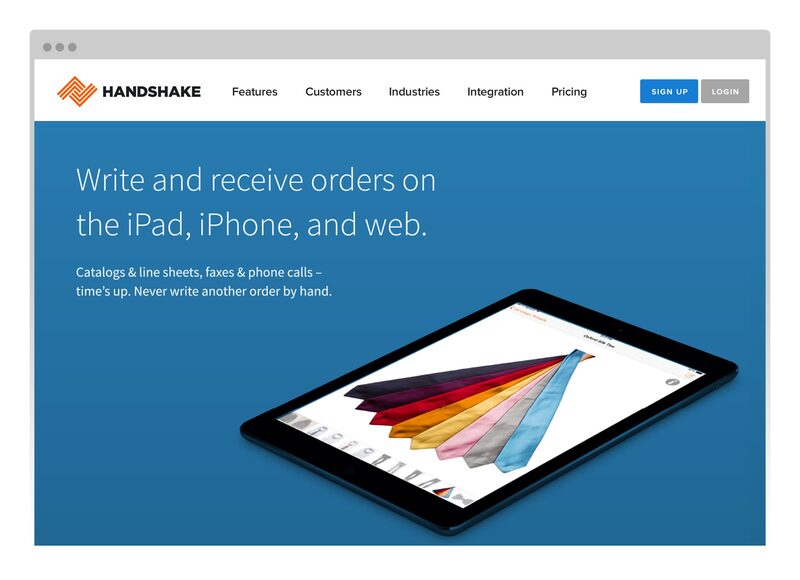 Handshake is disrupting the sales ordering process by moving an analog, paper–based workflow onto the iPad. 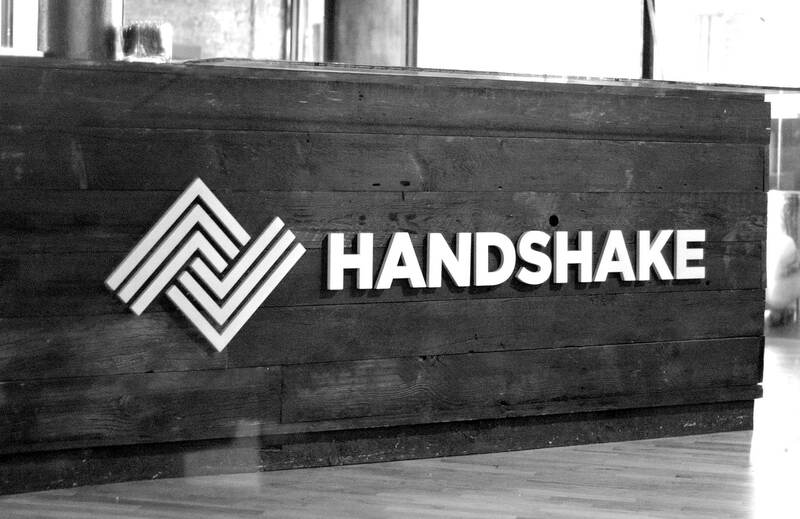 Keith was responsible for overhauling the Handshake brand identity and leading all design efforts for the company. His work covered everything from a brand new logo, to the marketing site, emails, ads, white papers, social profiles, business cards, office signage, and more. 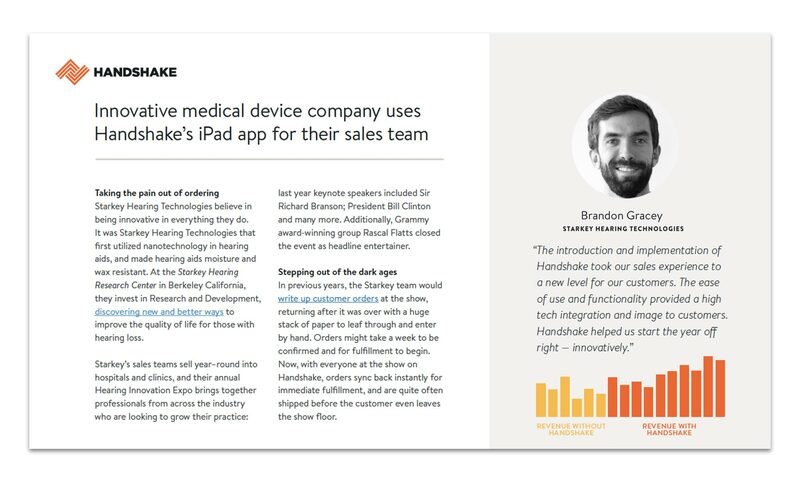 Keith worked with the founders and marketing team to iterate on a series of homepage designs, which were A/B tested extensively and resulted in increased conversions. 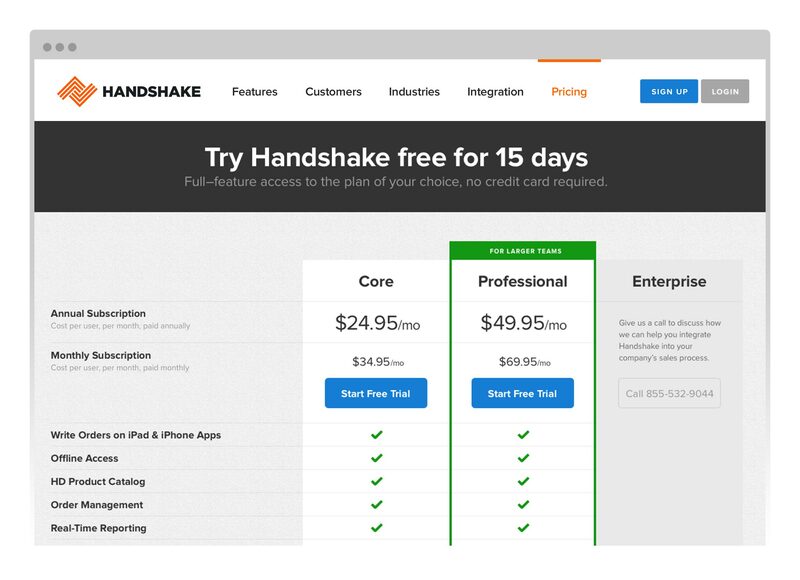 Pricing pages were overhauled and split–tested as well, converting more prospects into customers. 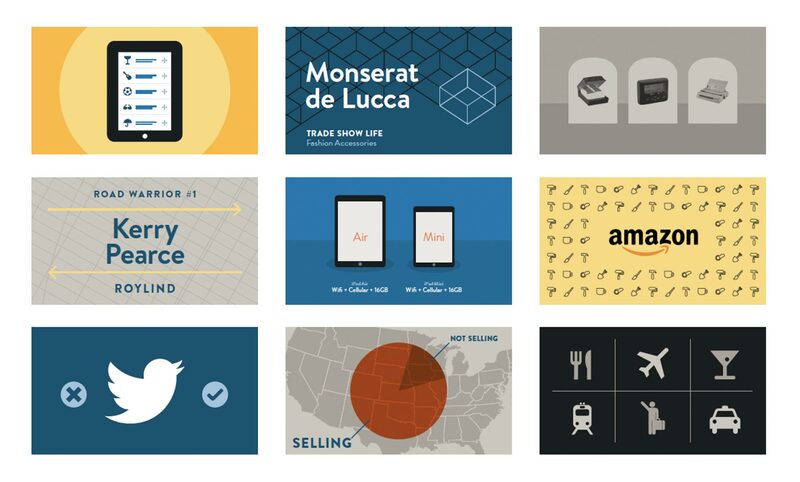 Keith developed a library of custom illustrations for blog posts. 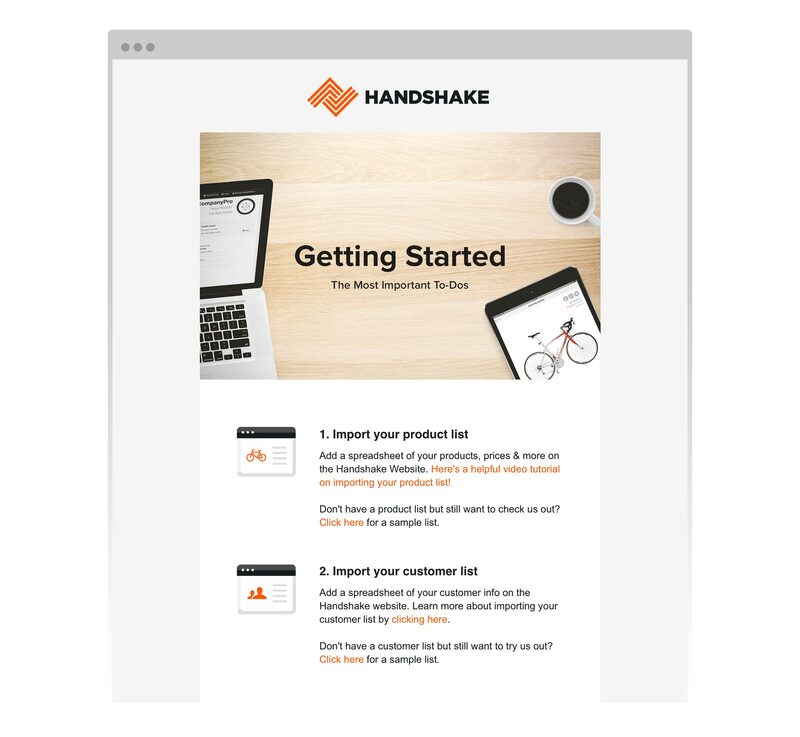 This give Handshake unique imagery to share on social media, and helped complement the overall brand. The new branding extended to sell sheets, sales materials, and marketing collateral. Emails were overhauled, with the addition of imagery and quicker hits of information. 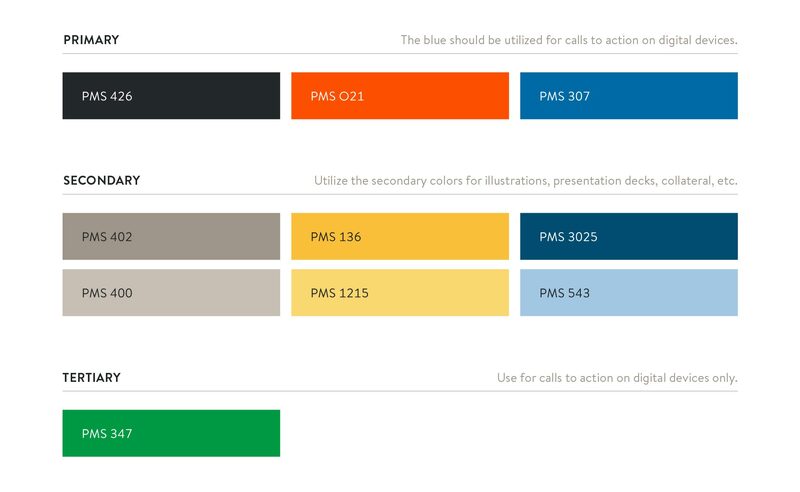 Keith’s goal was to inject some life and personality into what is a very dry business with a brighter, friendly color palette. Typography plays an important role with every brand, and Keith selected a strong, personal sans–serif with a wide range of weights to champion the Handshake brand. Keith created a set of brand guidelines for future creative work, including specifications for how to use (and how not to use) the Handshake logotype.